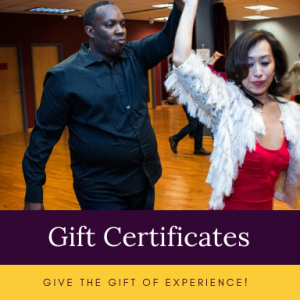 Give the Gift of Dance and Share in the Romance! Purchase our Valentine’s Day Special of 2 Private Lessons and let cupid do his magic! Bring your honey or come alone! This special is great for singles or couples! No experience is needed. Dancing at Lake Shore Dance Academy provides so many amazing physical, and mental benefits! During this 45 min private lessons you get the undivided attention of a professional dance instructor. Private lessons are the best way to learn how to dance, whether you’re just dancing for fun or preparing for a first dance. This is a perfect gift for new students who want to learn some basic steps and techniques in the variety of dances we teach.